Cynthia Ann Tedder Woodring: Obituary | Cherokee Co N.C.
Cynthia Ann Tedder Woodring, age 53 of Murphy, NC and formerly of Braselton, GA passed away Sunday, May 8, 2016. She was born in Whiteville, NC and the daughter of George Tedder of Anderson, SC and Patricia Story of Murphy, NC. Cynthia was an administrative assistant. She was a loving mother. Cynthia enjoyed arts, crafts and spending time with her friends. She attended North East Baptist Church in Braselton, GA.
She was preceded in death by her step-father, George Story. In addition to her parents she is survived by her husband, Kevin Thomas Woodring; her son, Kevin Todd Woodring of Braselton, GA; one brother, Gregory Tedder and wife Susan of Auburn, GA and their daughter, Hailey. 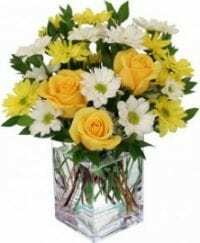 In lieu of flowers memorials may be made to the Unaka Volunteer Fire Department, 467 McMillan Road, Murphy, NC 28906.